Force, simply defined, is the energy required to accomplish a task and there’s a lot more to pipette forces than meets the eye (or in reality, the thumb). In fact, aspirating and dispensing is only one function of pipetting that requires the use of the thumb muscles. Tip acquisition and ejection usually requires excessive forces that contribute significantly to muscle fatigue. A strong interrelationship also exists between posture and force – the need for additional exertion increases as posture deviates from neutral positions. Therefore, when considering forces while choosing a pipette, one should focus on the actual exertion that may be required and not only force measurement data. The actual forces required to acquire a tip can vary greatly due to a variety of factors, including tip quality, fit dimensions and user technique. Over the years several tip manufacturers have offered “universal” tips designed to fit a variety of pipette brands. This multi-fit capability is usually accomplished through the use of a conical-shaped seal area. The pipette is forced into the tip until a seal is formed. In many cases, users are observed “tapping”, and honestly, even “pounding”the pipette into the tip several more times to ensure a proper seal. From an ergonomic perspective, when jamming a pipette into a tip, the user typically exerts a level of force that is well beyond the pipette’s intended design. While this excess force is considered by some as preferable to a tip falling off during use, the ergonomic effects cannot be overlooked. During tip acquisition (jamming on the tip) the user often tightly grips the pipette to prevent the pipette from slipping through the hand. This “clenched fist” grip causes unnecessary tension in the forearm and hand muscles, and contact stress in the palm of the hand. The forces necessary to remove the tip may also be increased. Because the tip is forced onto the pipette, the user needs to apply additional force to the tip ejector mechanism, further exacerbating contact stress on the thumb and increasing exertion by the thumb muscles. 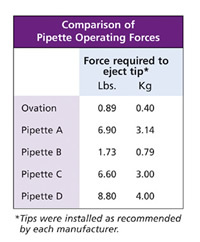 When selecting pipette tips, a comparison of the manufacturer’s recommended tip dimensions and the dimensions of alternate tips should be considered. The selected tip should fit snuggly onto the pipette, ensuring proper sealing with minimal force and without the need to tap the pipette into the tip. Pipette manufacturers have attempted to reduce plunger spring forces with magnetics or electronic enhancements. Measuring the amount of force required to actuate a pipette’s plunger is rather straightforward, and often published by manufacturers. Data on required thumb forces should be considered in conjunction with other ergonomic factors when evaluating overall pipetting stress and force levels. Ergonomic Technologies Corporation, an independent consulting firm specializing in workplace ergonomics, conducted a series of tests using traditional axial-designed pipettes and VistaLab Technologies’ Ovation Pipette. The testing revealed that the Ovation pipette showed a significant reduction in the amount of force required by the thumb throughout a full cycle of pipetting. Many pipette manufacturers have provided mechanisms to assist in detipping. However, as mentioned in the Tip Acquisition discussion above, if a tip is applied with more force than the pipette’s intended design, the detipping mechanism may require additional force or not work at all. Data on required tip removal forces should be considered in conjunction with other ergonomic factors when evaluating overall pipetting stress and force levels. Ergonomic Technologies Corporation, a consulting firm specializing in workplace ergonomics, conducted a series of tests using traditional axial-designed pipettes and VistaLab Technologies’ Ovation Pipette. The testing revealed that the Ovation pipette showed a significant reduction in the amount of force required to eject a tip. 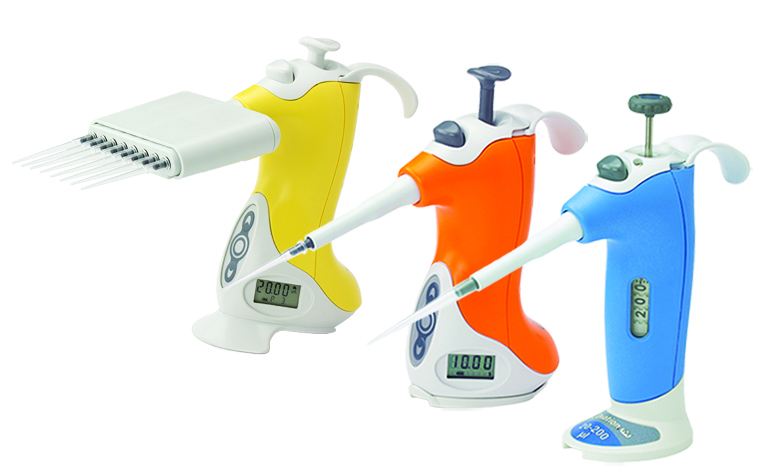 The Ovation Pipette was specifically designed to address each of the force-related concerns. 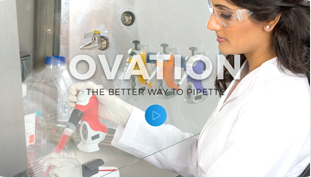 A loose, relaxed grip is used in all pipetting operations, including tip acquisition. A gentle push of the pipette’s nozzle into a tip is all that’s needed to acquire a tip. An audible “click” provides feedback to confirm that the tip is seated properly and additional effort is not needed. Easy on – easy off. Ovation’s proprietary “energy release” button ejects tips with a gentle push. 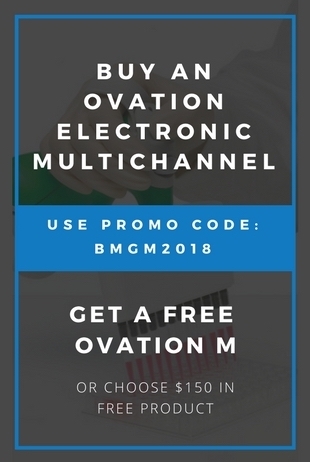 Ovation requires less force throughout all pipetting tasks. A summary of the various force comparisons discussed above shows a significant reduction in the overall amount of force required when pipetting.